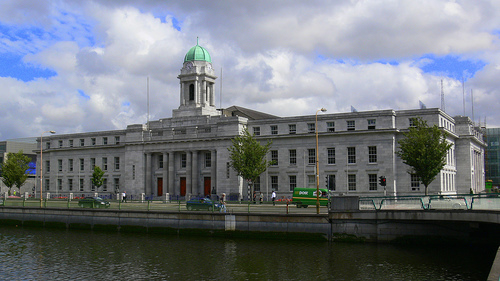 The Countess Markievicz/Tadgh Barry Cumann is the Sinn Fein branch for the Cork North West and part of the Cork North Central local authority wards. This area covers Knocknaheeny, Farranree, Gurranabraher, Churchfield, Fairhill, Sundays Well and Blackpool. The cumann is named after the iconic republican Countess Markievicz who was involved in the Easter Rising, Tan War and the Civil War, and Tadgh Barry, a Cork republican active in the I.R.A during the Tan War. Tadgh Barry was also a well known trade unionist. He was shot dead by British troops while interned at Ballykinlar camp in Co. Down in 1921. This long established cumann has for years worked hard on issues of concern to the people of the Northside. The cumann is currently supporting the work of Sinn Fein representatives Councillor Jonathan O’Brien (North West ward) and Thomas Gould (North Central ward) and is organising for the local elections in less than 6 months time.